Can't wait for tomorrow! Second year in a row I'm doing this! 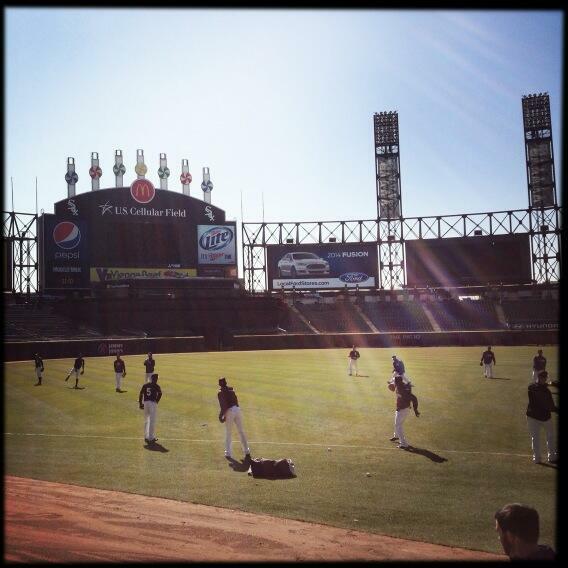 The Score is broadcasting now at Chi-Sox bar and grill at the Cell. Did the Sox open another new restaurant this year? Chisox Bar & Grill is the new name for the space that was formerly Bacardi at the Park. I think everything is basically the same as it was before, just the name change due to sponsorship issues, I guess. The Sox did open a new bar and grill type place inside the stadium, down the RF line, called the Xfinity Zone or something like that. Its kinda surprising another liquor company hasnt stepped in place of Bacardi for the naming rights. Bacardi at the Park has been packed every time I've been there for pre games no matter what the attendance for a particular game. Maybe they're working something out? The restaurant/bar opened as TBD's before they had a sponsorship deal in place with Bacardi. Maybe by mid-season they'll have a new sponsorship agreement worked out. The place got some bad publicity in the press because public funding was used to build it. I'm not surprised that sponsors have shied away.